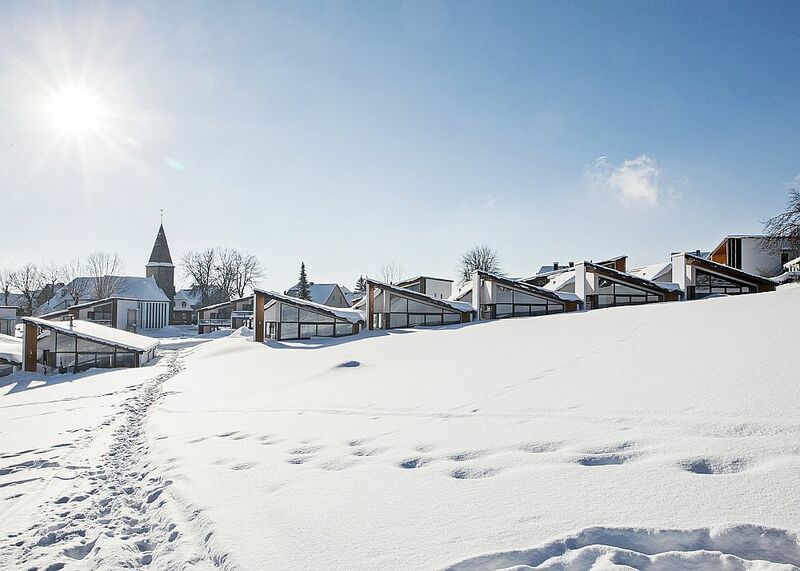 It is that time of the year again when you start thinking about a lovely vacation that includes snow-filled slopes, wintery charm and even a touch of rustic elegance that those woodsy cabins bring. 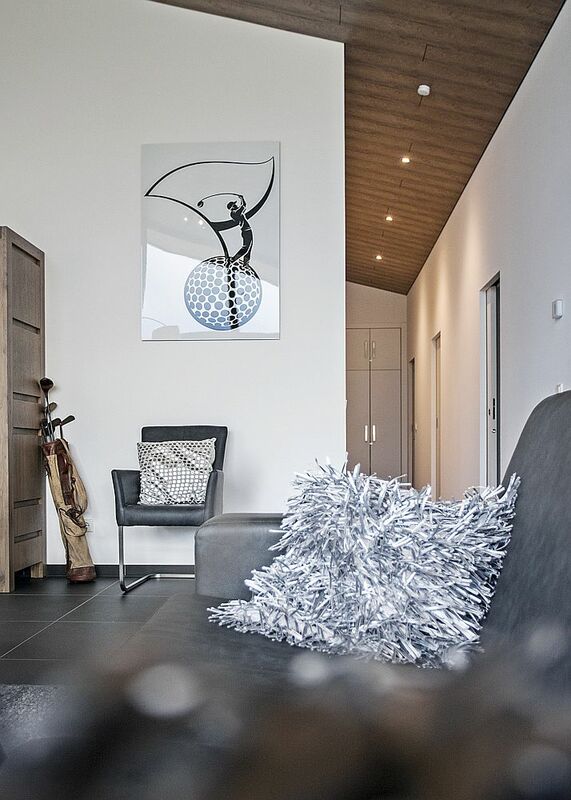 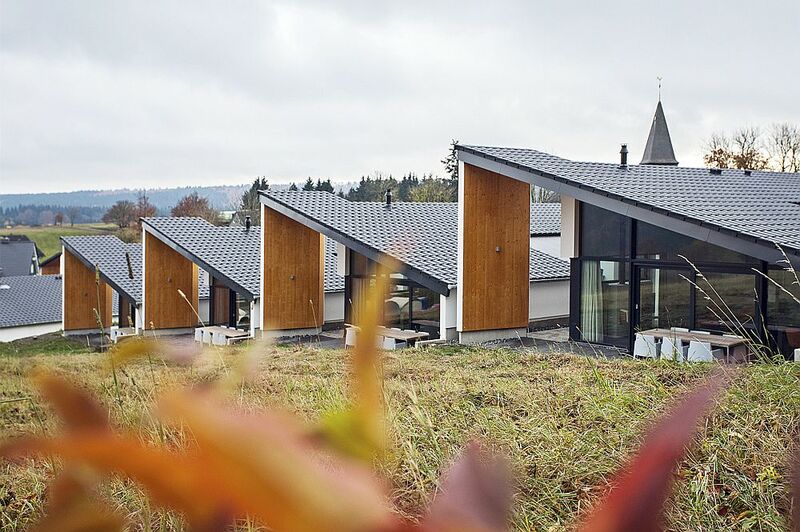 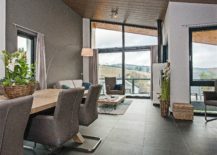 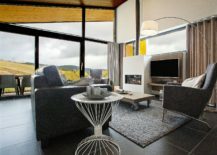 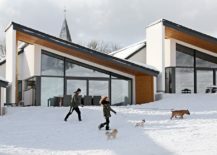 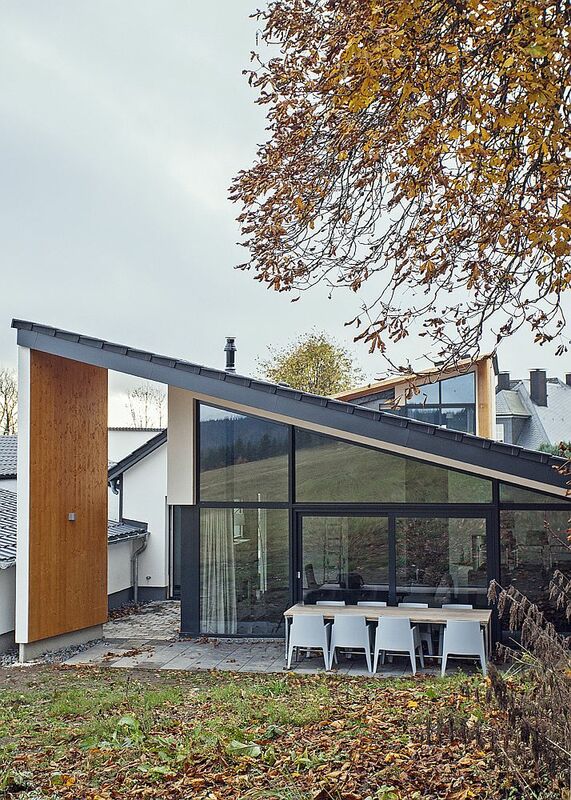 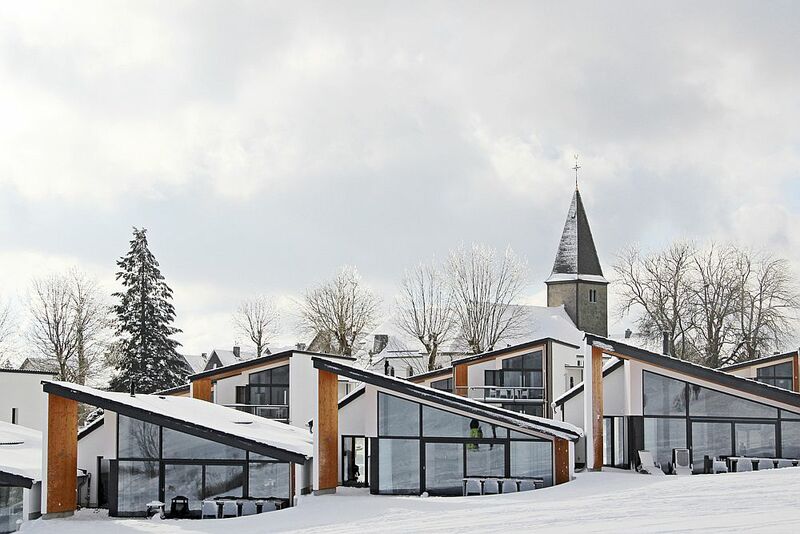 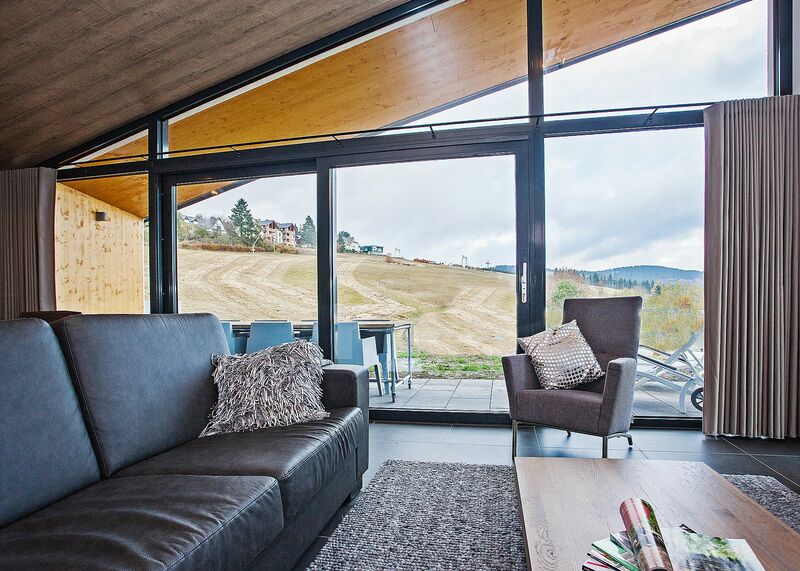 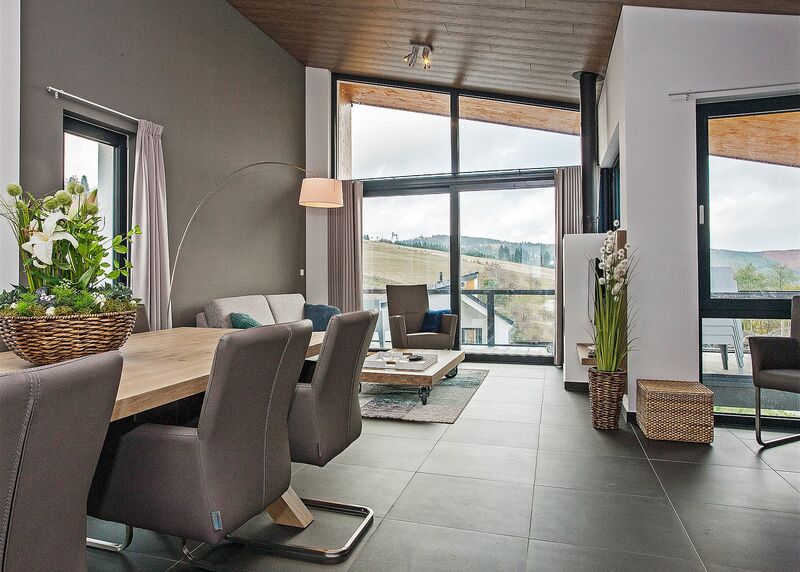 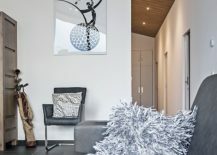 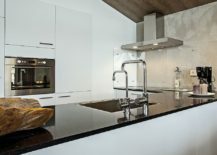 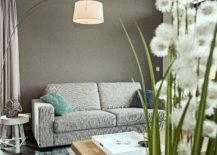 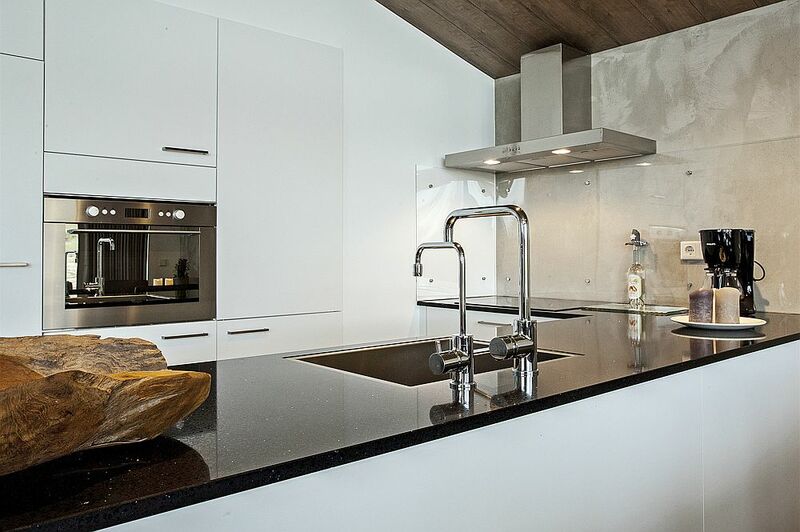 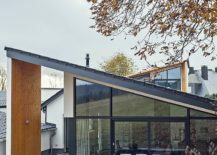 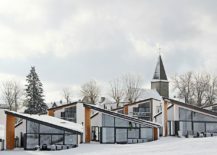 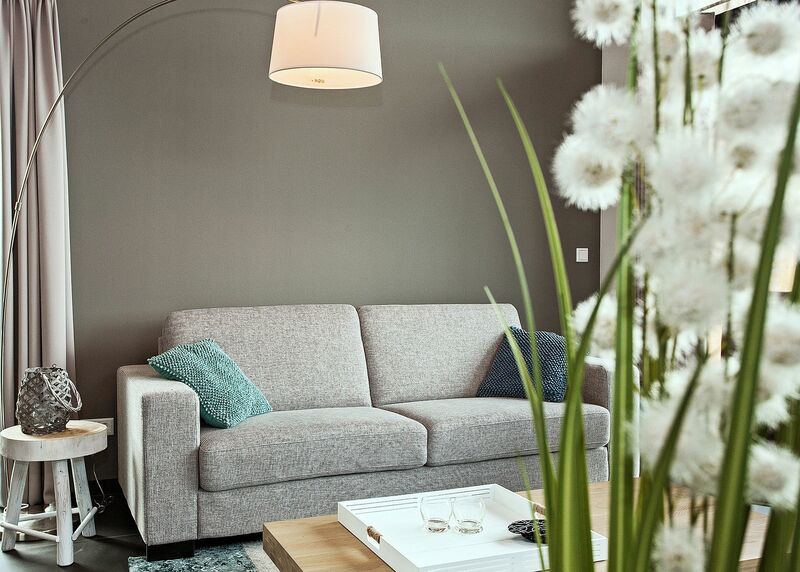 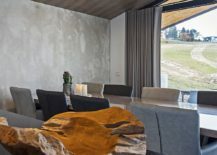 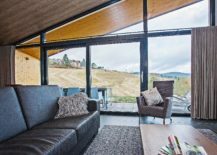 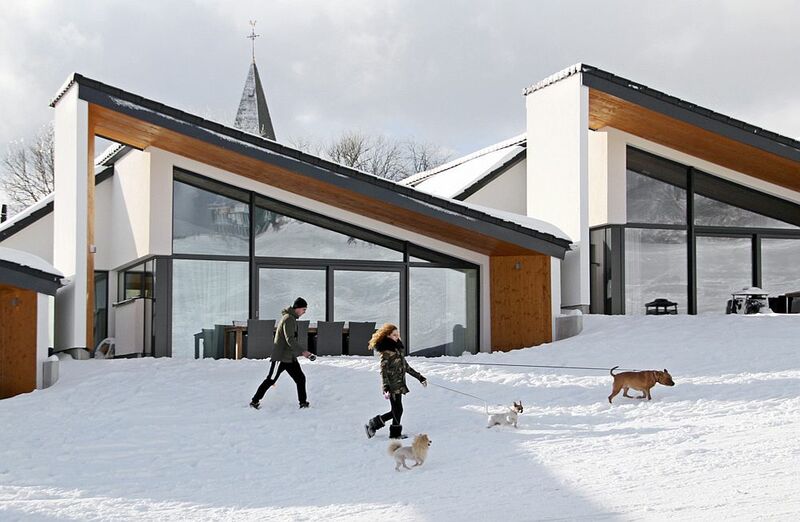 Offering all that and a lot more are these series of villas in Winterberg, which seem to draw inspiration from the sloping landscape that surrounds them. 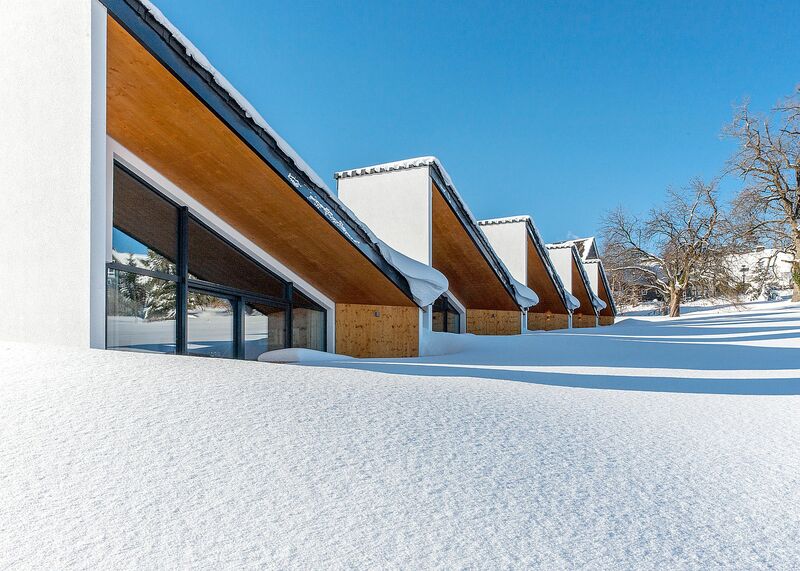 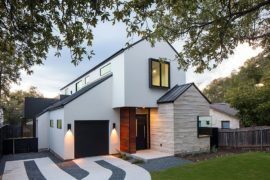 It is the angled roofs of these modern villas that give them a unique identity even as a wall of glass brings the outdoors inside. 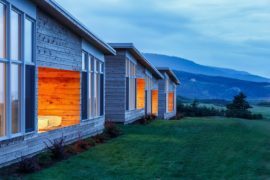 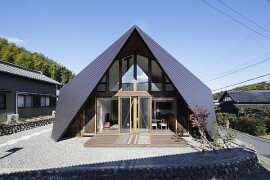 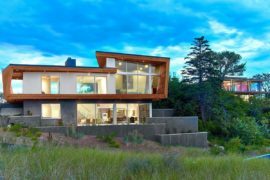 It is a balance between traditional cabin design and modern aesthetics that creates uniqueness inside these lovely homes built for those who appreciate finer things in life. 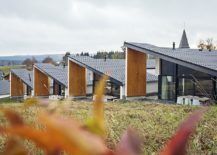 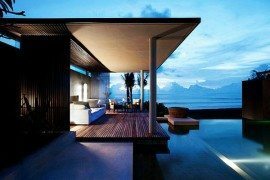 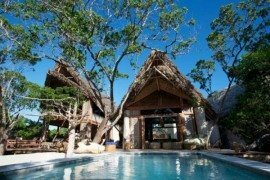 Designed by Third Skin, it is also the placement of villas next to one another that makes the project so very special. Each villa seems to start where the previous one ends; creating a visual sense of continuity. 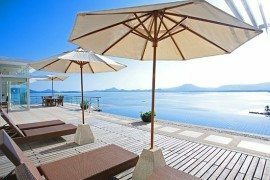 Yet there is plenty of privacy on offer with a small private yard for each of the villas allowing the owners to enjoy the outdoors during warmer months. 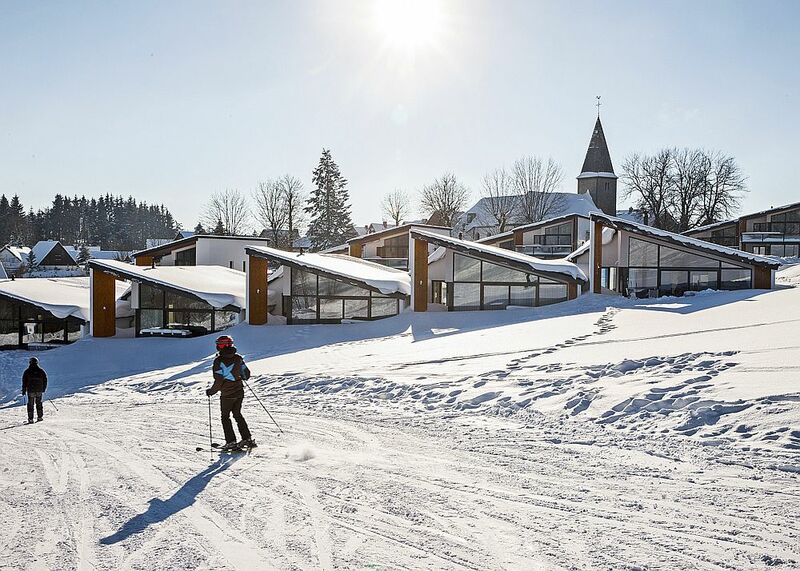 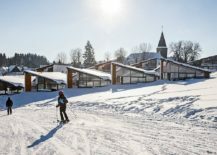 With fabulous ski slopes just outside, it barely is a surprise that Winterberg is a haven for skiing enthusiasts.